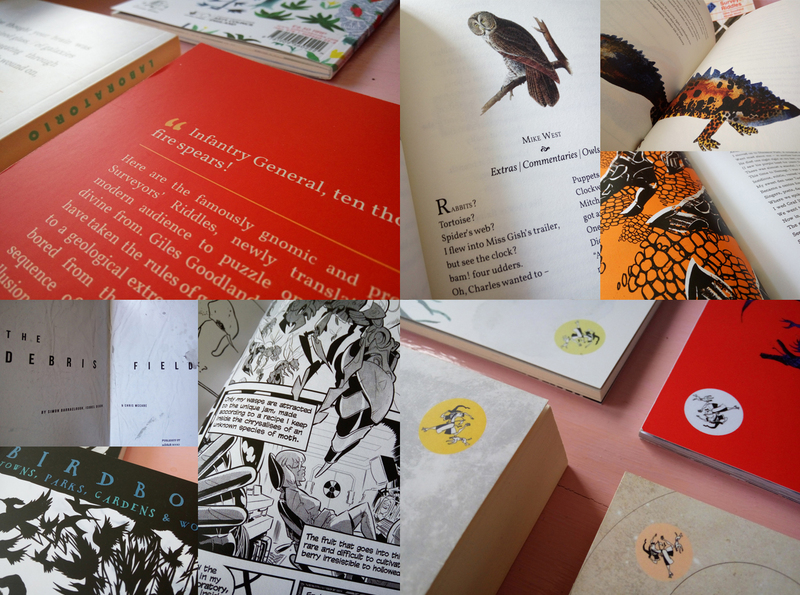 Sidekick Books is a small press publisher started by Jon with Kirsten Irving to explore, publish and promote experimental, collaborative, multi-disciplinary projects. They publish exclusively multi-authored books, ranging from team-ups between poets and visual artists to compendiums featuring dozens of writers. Publications have mixed poetry with comics, critical essays, and astrophysics, and the major subjects of interest include ecology and technology. Their latest series, Headbooks, builds interactivity, visual and informational poetry into their oeuvre. One of the overall focus points of the press is to pioneer a major alternative mode of presentation for print poetry, outside of the single author collection and the retrospective anthology – one that is not so zero sum, and relies less on the celebrity and prestige of authors for its appeal. related: Super Treasure Arcade and Core Samples are both limited edition Sidekick Books projects.